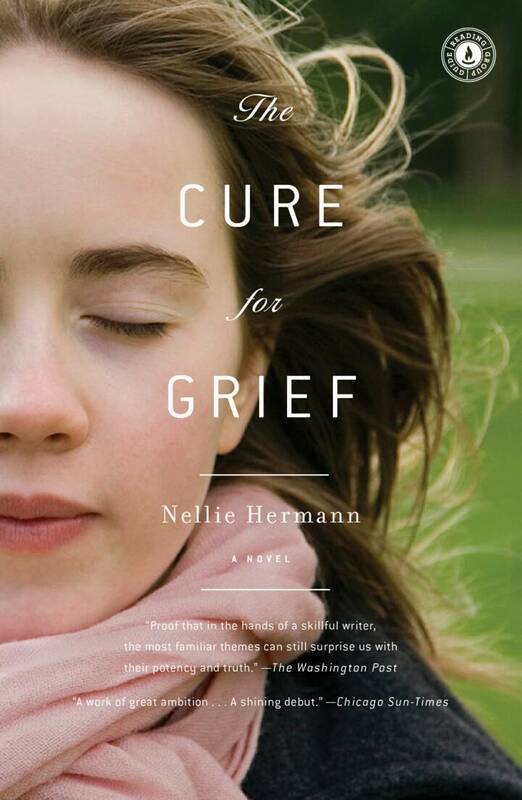 "At the beginning of Nellie Hermann's novel The Cure for Grief, the heroine, Ruby Bronstein, has three brothers and two parents. Ten years later, her family has been effectively halved, its members picked off by illness and death. The question at the heart of this story is simple: How does a girl manage to grow up while fighting the gravitational pull of a Shakespearean succession of tragedies?" "[The Cure for Grief] is a quintessentially Jewish 20th-century story. What Hermann makes vividly clear is that surviving the Holocaust doesn't ensure an unblemished future. For some families, there is no end to the price that must be paid, and the pain of that simply becomes what "life" means. By the time I finished this moving book, I realized that Hermann had no choice. ...A brave first novel..."
"A subtle, elegiac coming-of-age novel about catastrophe, grief and the persistence of everyday life. In her stunning debut, Hermann explores the long-term ramifications of unassimilable tragedy in the life of young Ruby Bronstein. Ruby's father is a Holocaust survivor who cannot remember most of his own childhood; as a young girl she is haunted by the contrast between her family's warmth and closeness and her father's silences and occasional withdrawal. Hermann approaches the familiar subject of the Holocaust and its legacies in a completely unexpected and original way, inflicting on her protagonist a series of tragedies that give readers the barest taste of what it means to face and survive unimaginable catastrophe. The uncanny repetition of these traumas could easily have strayed into the territory of melodrama, but Hermann's spare, taut prose strips the story of any sentimentality even as it tensely mirrors Ruby's tamped-down emotions... A gorgeously readable meditation on mourning and survival. Profound, poetic and original. Hermann is a young author to watch." "Hermann, Bronstein’s alter ego, is a lyrical archivist, wistful in the retelling of her family’s undoing and insistent that she get all the way inside the memories and, with the help of hindsight, deconstruct them...In writing as if it all happened to someone else, Hermann frees herself from the limited perspective of memoir. Through all the losses Bronstein endures—not just huge and existential, such as the death of a loved one, but also personal and private, such as a friendship’s changed nature—what stands out is Hermann’s thoughtful witnessing and her steadfast will to cope with all she sees."